To publicise the fascinating history of the Watkin family - former residents of Rose Hill House. To ensure that Rose Hill Woods survive for public use. Rose Hill is a Grade 11* listed, large two-story villa situated off Bronington Close, Northenden, Manchester, UK. Formally a family mansion, used to accomodate various institutions between 1914 and 1992 and then left to be looted and vandalised, it was eventually restored to its former glory to house nine luxury apartments in 2006. Rose Hill was originally erected as part of a smallholding, probably in the mid to late eighteenth century. In 1832 the seven acre estate was sold by the then owner, a Mr Torkington, to Absalom Watkin for £1,100. when purchased the estate consisted of a small house, a barn, a stable and six fields comprising water meadow and land used for growing wheat and turnips. Between 1832 and 1834 Rose Hill was remodelled and extended and the grounds laid out. The house still remained small, having only two reception rooms and few bedrooms. Although further alterations and additions had taken place by 1848, most of Absalom Watkin’s energies were directed towards improving the grounds. After 1861 Rose Hill was altered and extended for Sir Edward and Lady Mary Watkin, the reception rooms along the eastern facade probably dating from this period. The piecemeal development of Rose Hill during the later nineteenth century probably reflects Sir Edward’s rising political and business fortunes. The last phase of rebuilding, comprising the creation of the present entrance facade, hall and stair, dates stylistically to the 1890s, perhaps from the period of Sir Edward’s second marriage to Anne Ingram in the early 1890s. 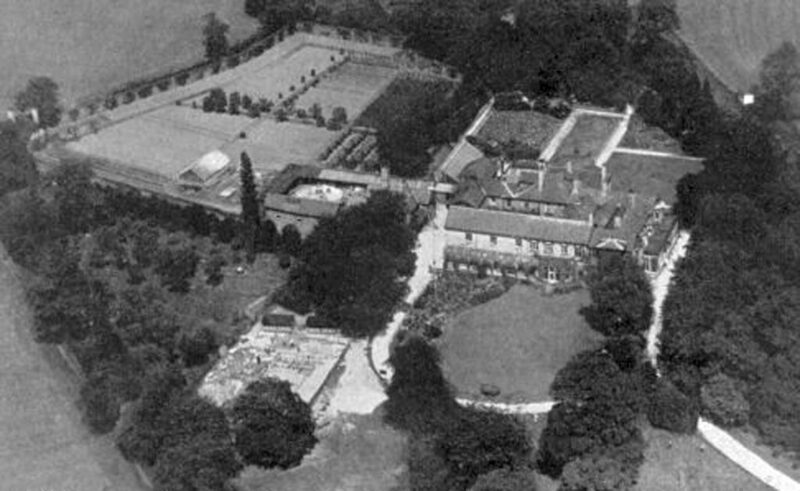 Shortly after Sir Edward’s death in 1901 his successor, Sir Alfred Mellor Watkin, sold Rose Hill to a William Joseph Parkyn. 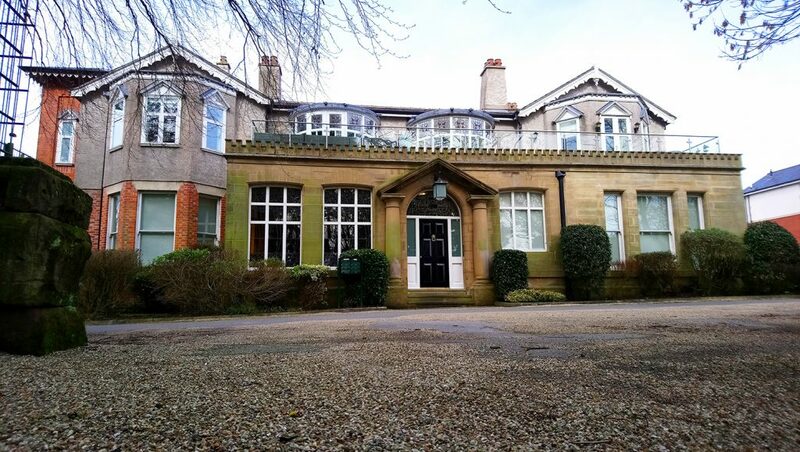 During World War One the house became a convalescent home for wounded soldiers and soon after it was purchased by Manchester Corporation for use as an orphanage and later an assessment centre. In 1992 the grounds were developed for new housing. In 2006 developers, Morris Homes, scooped top prize as Best Conversion at Your New Homes’ annual UK property awards for their restoration of Rose Hill House – now known as Ashley Grange. Vandalised and looted of many of its original treasures, the developers faced the challenge of creating new homes while meeting council demands to restore the majority of the 19th century manor house authentically. Recreated features included a hand carved oak staircase, stained glass and copper fireplaces. A replica of an original Italian marble fireplace was made in Japan and took six months to complete. Rose Hill House is located at 50A, Bronington Close, Northenden, Manchester, United Kingdom. The entrance to the woods is on the right of the Sharstone. Rose Hill House originally stood at the highest point of a small wooded park which was laid out c1833 by Absalom Watkin. Watkin also constructed the main drive from Longley Lane at the head of which were two mid nineteenth-century lodge houses of Italianate design. The main drive terminated in a balustraded viewing platform opposite the entrance to the house which overlooked a tree-filled valley what is now known as Rose Hill Woods. 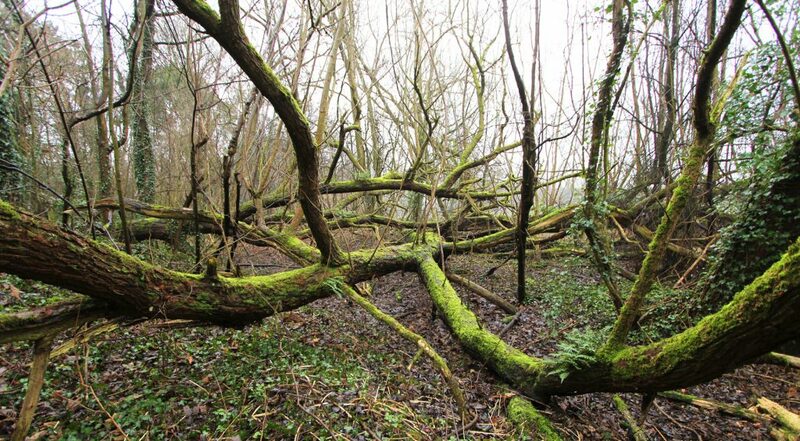 The Woods have been owned by Manchester City Council since just after WW1 and are open to the public but since the withdrawal of the Mersey Valley Ranger service in 2008 maintenance has been minimal and there are many fallen trees and the paths are overgrown. 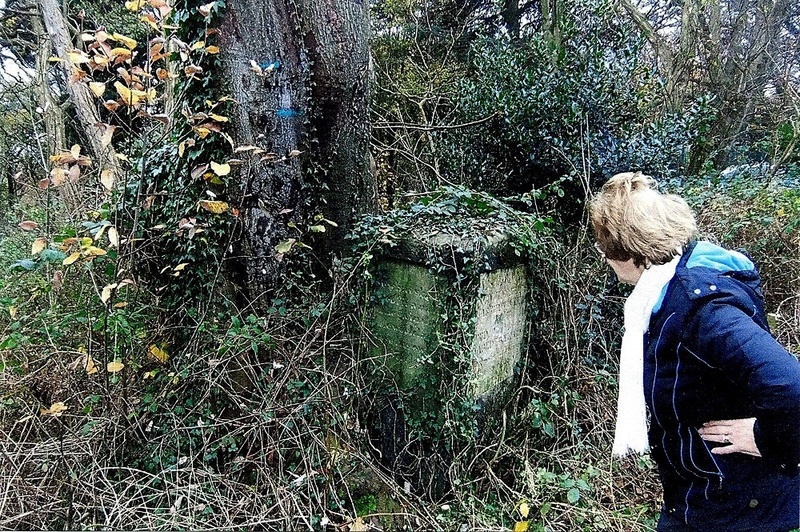 The woods are also home to a commemoration stone erected by Sir Edward in honour of his father. It was overgrown, neglected and almost inaccessible. 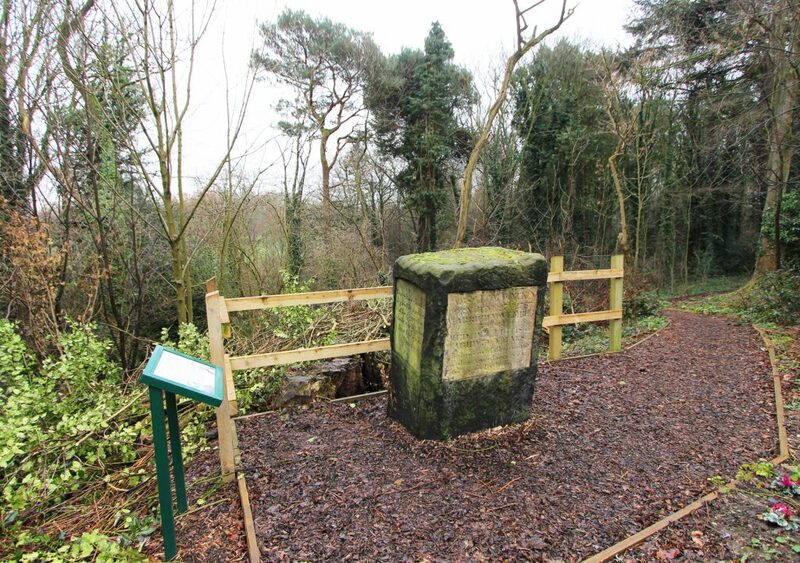 Our year of Heritage Lottery Funds in 2018 allowed Friends Of Rose Hill to re-open this part of the woods with pathways and railings leading to the memorial stone and through the woods. The Memorial Stone in 2019 with new railings and information lectern.